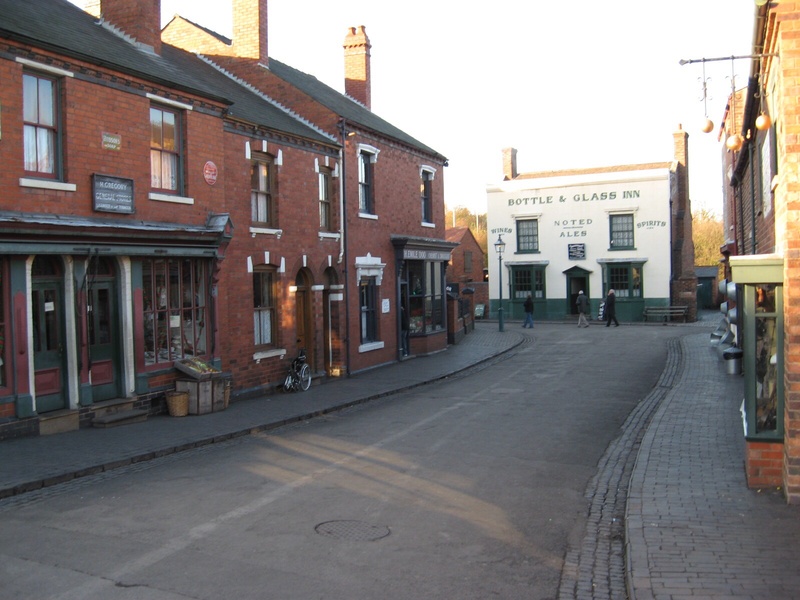 I recently visited The Black Country Living Museum in Dudley in the centre of the Black Country. The museum occupies 105,000 square metres (26 acres) of former industrial land partly reclaimed from a former railway goods yard, disused lime kilns and former coal pits. It was opened in 1978, since when many more exhibits have been added. The museum preserves some important buildings from around the Metropolitan Boroughs of Dudley, Sandwell and Walsall and the City of Wolverhampton; including a specially built village with Most buildings being relocated from their original sites where demonstrators portray life from the 1850s to the 1950s. The museum is close to the site where Thomas Dudley first mastered the technique of smelting iron with coal instead of wood charcoal and making iron enough for industrial use. Having a claim to be the birthplace of the Industrial Revolution, the Black Country is famous for its wide range of steel-based products from nails to the anchor and anchor chain for the Titanic.The site’s coal mining heritage is shown by an underground drift and colliery surface buildings. The museum also has a working replica of a Newcomen atmospheric engine. Thomas Newcomen’s invention was first successfully put to use in Tipton in 1712. There are also many Electric trams and trolleybuses which transport visitors from the entrance to the village where thirty domestic and industrial buildings have been relocated close to the canal basin including the Cast Iron Houses and a 1930s fairground. A narrowboat operated by Dudley Canal Trust makes trips on the Dudley Canal and into the Dudley Tunnel. By the main entrance in the old Rolfe Street Baths are displays of local artefacts demonstrating the many products which were made by Black Country industry, including cast iron hollow ware, animal traps, vehicles, chain, anchors, enamels, weighing scales, laundry irons, nails, locks and fire clay products as well as more fragile items such as glassware, reflecting the centuries-old industry that produced lead crystal glass and the Joseph Chance glass works between Oldbury and Smethwick. 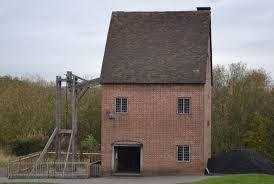 The museum site also has two preserved mine shafts, one at the Racecourse Colliery and Brook Shaft. In 1712, Thomas Newcomen built the world’s first successful steam engine which was used for pumping water from coal mines on Lord Dudley’s estates. In 1986, after ten years of research, the museum completed the construction of a full-scale working replica of the engine. The ‘fire engine’ is housed in a brick building from which a wooden beam projects through one wall. Rods hang from the outer end of the beam and operate pumps at the bottom of the mine shaft which raise the water to the surface. The engine has a boiler, a cylinder and piston and operating valves. A coal fire heats water in the boiler which is little more than a covered pan and the steam generated passes through a valve into the brass cylinder above it. The cylinder is more than two metres long and 52 centimetres in diameter. The steam in the cylinder is condensed by injecting cold water and the vacuum beneath the piston pulls the inner end of the beam down causing the pump to move. There are also preserved Lime Kilns as Lime working and processing was carried out on the site from medieval times. Evidence of quarries and underground remains, the canal, and preserved lime kilns are parts of a scheduled ancient monument which has features from the medieval, Industrial Revolution and 20th century. The lime kilns, were built by the Earl of Dudley to process limestone quarried from Wren’s Nest workings. The earliest of the three surviving kilns dates from the late 18th century. The trap shop was built in 1913 in Rookery Street, Wednesfield and offered to the museum in 1982. The exhibit, set around 1930, contains the office, trap shop and the machine shop. The nail shop is a replica of a back-yard workshop, built in the 1880s from 17 Chapel Street, Halesowen which houses equipment from the Halesowen workshop operated by Sidney Tether in the 1940s.The brass foundry was built in 1869 in Shaw Street, Walsall and closed after the Second World War but re-opened in 1964 by James Powell and used until his death in 1973. There is also a rolling mill which was originally installed at the Birchley Works in Oldbury in 1923 ceased to operate in 1976 and it was moved to Lord Ward’s Canal Arm. There is a chain maker’s shop which represents one of the many workshops that made small and medium size chain during the 1800s when the chain industry was mostly associated with Cradley, Cradley Heath, Old Hill, Quarry Bank and Netherton. There is also an Oliver hammer on display, this was a treadle-operated hammer that forged bolts by forcing red hot lengths of iron into a die. The machine shop contained several Oliver hammers used to forge special parts to order and was founded by Onan Lowe and taken over by T. W. Lench Ltd. there is also a early 20th Century village comprising houses, shops, workshops and public buildings which were dismantled and rebuilt brick by brick which is staffed by people in period costume. The village shops include Gregory’s General Stor, Emile Doo’s chemist shop, a sweet shop and cake shop with a bakery at the back. There is a hardware and ironmongers shop from Pipers Row in Wolverhampton and a pawnbroker’s shop. The Brook Street back to back houses, built in the 1850s, were relocated from Woodsetton and were the homes of colliers, farm workers and ironworkers. The anchor maker’s house came from Lawrence Lane in Old Hill. Public buildings include Providence Chapel from Darby End/Hand near Netherton and the Bottle and Glass Inn. The village postbox meanwhile once stood on the corner of Baker Street and Blandford Street, London in 1865. It was and designed by architect J W Penfold and made by Cochrane, Grove and Company. The 1900 Carter’s Yard comes from Ogley Hay Road Burntwood, Cannock. The Old Birmingham Road links St James’s School with the Cradley Heath Workers’ Institute. St James’s School originally opened in Eve Hill, Dudley in 1842 for pupils aged 5–11. Hobbs & Sons fish and chip shop and H Morrall’s gentlemen’s outfitters both come from Hall Street, Dudley and date from the late-18th century. Four buildings were rescued from Birmingham Street, Oldbury and date to about 1860, including Humphrey Brothers,builders’ merchants, from 1932, who sold fireplaces, sanitaryware and building supplies including paint. The motorcycle shop is based on the business of A. Hartill & Sons. which was located in Mount Pleasant, Bilston. The window displays of locally made six motor bikes from 1929–34. Next door is Alfred Preedy & Sons tobacconist shop, established in Dudley in 1868 and James Gripton’s radio shop.The Cradley Heath Workers’ Institute was built with surplus funds raised in 1910 during the strike for a minimum wage by women chain makers. The Arts and Crafts style building was designed by architect, Albert Thomas Butler, and opened on 10 June 1912. 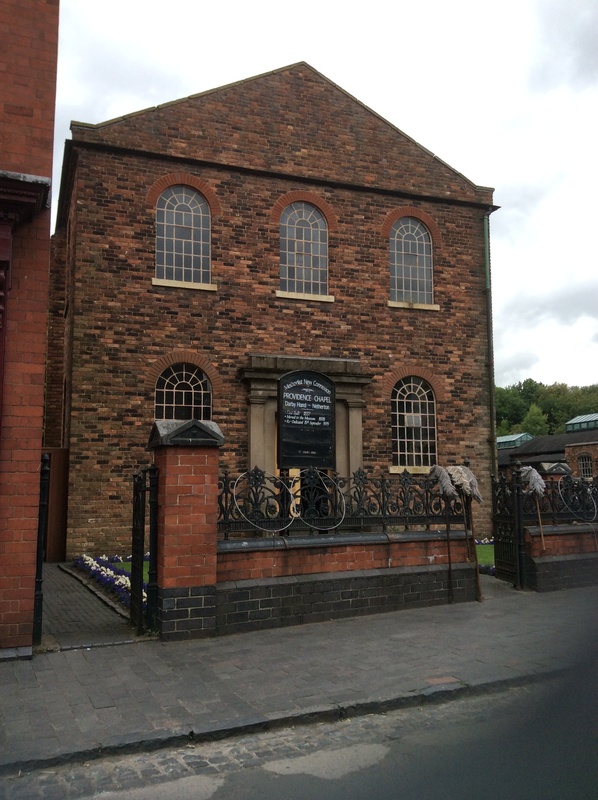 It became a centre for educational meetings, social gatherings and trade union activities in Cradley Heath. The building contains reconstructed offices, a news room with a digital interpretation of the background to the strike and a large hall which is used for a wide range of activities including theatre performances and concerts. There is a also 1930s fairground located behind the school which represents a travelling fairground from the early 1900’s. The collection of historic rides includes a helter skelter and the Ark, which is one of the few ‘fourlift’ Arks in the country. Lord Ward’s Canal Arm recreates a typical dock that would have been found on the Birmingham Canal Navigations (BCN). Adjacent to the museum is the Dudley Tunnel where Visitors can take a 45 minute skipper-guided trip into the tunnel through the historic limestone mines and caverns on a boat operated by the Dudley Canal Trust. The museum also has many road transport exhibits which were used and made in the Black Country including the Wolverhampton District Electric Tramways Company tram No. 34, Dudley, Stourbridge and District Electric Traction Company tram No. 5, a Guy single-decker Bus, a 1920 Dudley, Stourbridge and District Electric Traction Company No. 5 Tividale single-decker tram, the Wolverhampton District Electric Tramways Company No. 19 works car, TheWolverhampton Tramways Company Horse Tram No. 23 open-topper built in 1892, the Wolverhampton District Electric Tramways Company No. 34 Tividale single-decker built in 1919. 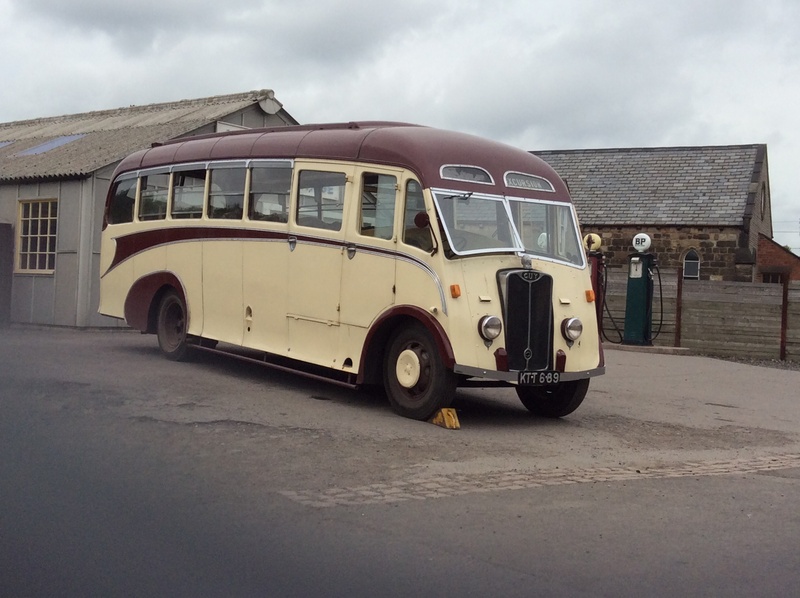 The Wolverhampton Corporation Tramways open topper No. 49 built in 1909, The Dudley, Stourbridge and District Electric Traction Company No. 75 Tividale single-decker which was built in 1919, The Wolverhampton Corporation Tramways No. 102 Tividale single-decker built in 1920, the Birmingham Central Tramways Company Ltd cable car No. 104 open-topper built in 1886 and the Lisbon No. 361 single-decker built in 1907. Buses at the museum include the West Bromwich Corporation Daimler CVG6 GEA 174 built in 1948, the Midland Red BMMO D9 6342 HA built in 1963, the Guy Motors KTT 689 built in 1948, the West Bromwich Corporation Dennis E-Type EA 4181 built in 1929 and the Reo Speedwagon with C14D bodywork MR 3879 built in 1924. Operational Trolleybuses at the museum include the Walsall Corporation trolleybus 862, The Wolverhampton Corporation Guy Transport 78, the Wolverhampton Corporation Sunbeam Transport 433, the Bradford Corporation Transport 735 – A Karrier W built in 1946 and the Walsall Corporation Transport 862, a Sunbeam F4A with a Willowbrook Body. 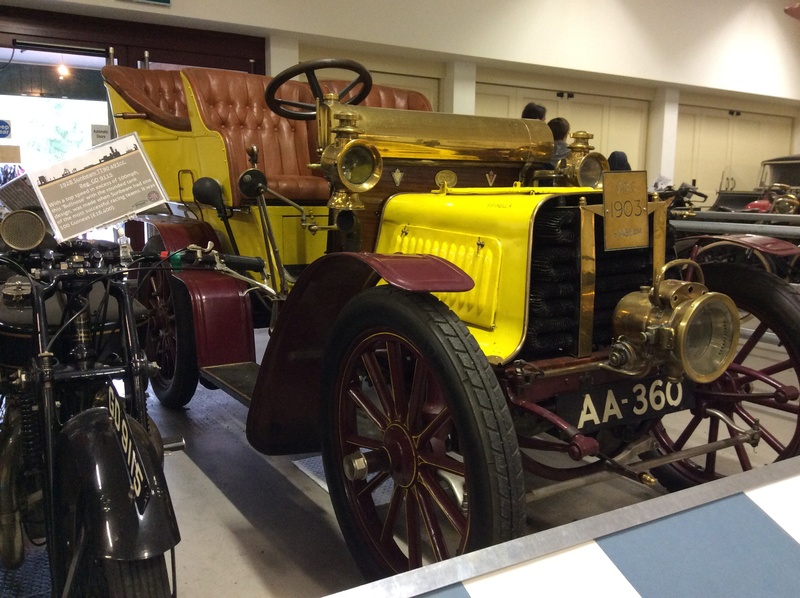 Wolverhampton was home to some early manufacturers of motor cars, such as Sunbeam, Clyno, AJS and Star and The Museum collection includes a 1903 Sunbeam, a 1912 Star and a 1931 AJS as well as examples of later vehicles such as the Kieft, Frisky and Westfield Topaz. There are also approximately 40 motor cycles in the Museum’s collection, including Sunbeams, AJS, Wearwell and Rocksons. Unusual vehicles in the fleet include a 1924 Guy-Morris fire engine, a Model T Ford van used by Willenhall firm Brevitt’s and a Bean flat bed truck. The release of Harry Potter and the Philosopher’s Stone in 2001 was Grint’s debut screen performance. Grint won a Satellite Award in the category of “Outstanding New Talent”, and a Young Artist Award for “Most Promising Young Newcomer”.A year later, Grint again starred as Ron in Harry Potter and the Chamber of Secrets (2002), the second instalment of the series. The film opened to positive reviews and critics generally enjoyed the lead actors’ performances. Harry Potter and the Prisoner of Azkaban (2004) was released on 31 May in the UK. The film sees all three of its lead characters hover on the brink of adolescence, “and while they look braver and more capable than before, the dangers they face seem far more grave and their own vulnerability more intense.”Academy Award-nominee Alfonso Cuarón took over direction for Prisoner of Azkaban which remains the lowest-grossing Harry Potter film with US$795 million in revenue. Nonetheless it was the second highest-grossing movie of 2004 behind Shrek 2. Despite this it remains the second highest rated in the series in terms of critical reaction. In 2005, Grint reprised his role again for the fourth film in the series – Harry Potter and the Goblet of Fire. The adaptation, unlike previous projects, explored romantic elements and included more humour. .This project was helmed by Mike Newell. “Goblet of Fire stands as one of the best reviewed instalments within the series, and is noted for the maturity and sophistication of its characters, darker and more complex plotline, writing and performances of the lead actors. 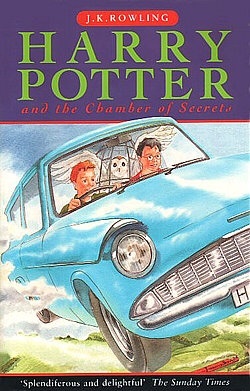 Harry Potter and the Order of the Phoenix, the fifth film in the Harry Potter franchise, was released to cinemas in 2007. A huge financial success, Order of the Phoenix set a record worldwide opening-weekend gross of US$394 million, superseding Spider-Man 3 as the title holder. 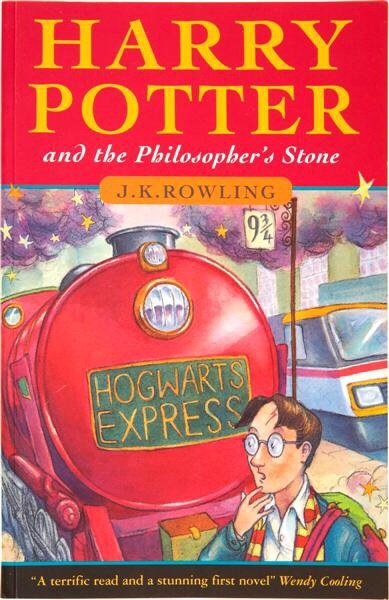 This entry was directed by a new filmmaker, David Yates, who would continue to direct all of the following movies. Grint said the laid back director was “really good” and helped keep the material fresh. On 15 July 2009, the series’s sixth instalment, Harry Potter and the Half-Blood Prince, was released. This adaptation centred around more being learnt about Lord Voldemort’s dark past. Half-Blood Prince remains one of the most positively reviewed entries within the series among film critics, who praised the film’s “emotionally satisfying” story, direction, cinematography, visuals and music. Grint observed a change in Ron in this entry, pointing out that his once insecure, often overshadowed character started to become more secure and even began to show a dark side of himself. The actor found it fun to personify a more emotional Ron. Between 2009–2010, his work received three nominations, including one win – an Otto Award from the German magazine Bravo. Radcliffe, Watson and Grint at the Deathly Hallows – Part 2 premiere in LondonFor financial and scripting reasons, the last book was divided into two films which were shot back to back, with filming concluding in June 2010. Harry Potter and the Deathly Hallows – Part 1 (2010) was released in November. His portrayal of Ron again earned him critical praise. Grint reprised his role for the eighth time, in Harry Potter and the Deathly Hallows – Part 2, the last Harry Potter instalment. This film picked-up from where the previous project left-off and included a lot of action, whereas the first part had focused more on character development. Rupert, along with the film, was critically acclaimed: Deathly Hallows – Part 2 is currently the 4th highest-grossing film of all time. Beginning in 2002, Grint began to work outside of the Harry Potter franchise, taking on a co-leading role in Thunderpants. He has had starring roles in Driving Lessons, a dramedy released in 2006, and Cherrybomb, a small budgeted drama of limited release in 2010. Grint co-starred with Bill Nighy and Emily Blunt in Wild Target, a comedy. His first project following the end of the Harry Potter series was the 2012 anti-war film, Into the White, in which he stars as the main role. In 2013, Grint’s new film CBGB will be released and he has been cast in CBS’s new pilot Super Clyde. Grint made his stage debut in Jez Butterworth’s Mojo in October 2013 at the Harold Pinter Theatre in London. Best known for portraying the Astromech Droid R2-D2 in Star Wars, The English actor Kenneth George “Kenny” Baker was born 24 August 1934 in Birmingham. Baker, who stands 3 ft 8 in (112 cm) tall, was born and educated in Birmingham, West Midlands, and at boarding school in Kent. His parents were of average height. Originally he wanted to follow in his father’s footsteps and be an engraver, but had not received sufficient education. He went to live with his stepmother in Hastings, Sussex and in 1951 was approached on the street by a lady who invited him to join a theatrical troupe of dwarves and midgets. This was his first taste of show business. Later, he joined a circus for a brief time, learned to ice-skate and appeared in many ice shows. He had formed a successful comedy act called the Minitones with entertainer Jack Purvis when George Lucas hired him to be the man inside R2-D2 in Star Wars in 1977. Baker appears in all six Star Wars films and played an additional role in 1983’s Return of the Jedi as Paploo, the Ewok who steals an Imperial speeder bike. He was originally going to play Wicket, but he fell ill and that role was handed over to Warwick Davis. 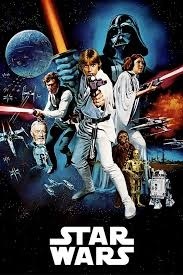 Kenny is featured on Justin Lee Collins’s “Bring Back Star Wars”. He revealed a feud between him and his co-star Anthony Daniels. He claimed Daniels had been rude to him on numerous occasions, and states that Daniels is rude to everyone, including fans. Baker’s other films include The Elephant Man, Time Bandits (also with Purvis) Willow (also with Jack Purvis) and Flash Gordon, Amadeus and Jim Henson’s Labyrinth. On television, he appeared in the British medical drama Casualty. In the late 1990s, Baker launched a short stand up comedy career. Baker played harmonica with the James Coutts’ Scottish Dance Band at Hugh McCaig’s Silverstone Party in July 1997. In November 2009, his biography entitled From Tiny Acorns: The Kenny Baker Story was made available through his website and at conventions and book signings. It was written with Ken Mills. He will reprise his role as R2-D2 in Star Wars Episode VII, which will be released on December 18, 2015 and He also had a part in the BBC production of “The Chronicles of Narnia”. 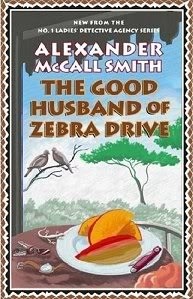 Prolific Rhodesian born British Author R. Alexander “Sandy” McCall Smith, CBE, FRSE, who was born 24 August 1948) in Bulawayo, Rhodesia (present day Zimbabwe). He was educated at the Christian Brothers College before moving to Scotland to study law at the University of Edinburgh, where he earned his PhD in law. He also taught at Queen’s University Belfast, and while teaching there he entered a literary competition: one a children’s book and the other a novel for adults. He won in the children’s category, and published thirty books in the 1980s and 1990s and continues to publish novels to this day.